Crafting has been about all I've been doing, outside of working and being a busy mama. It's nice to watch as seemingly unrelated things come together to result in something sort of lovely. I think that's a lot of what I do, throw some random things together and cross my fingers that they work out! This weekend was one of those times. 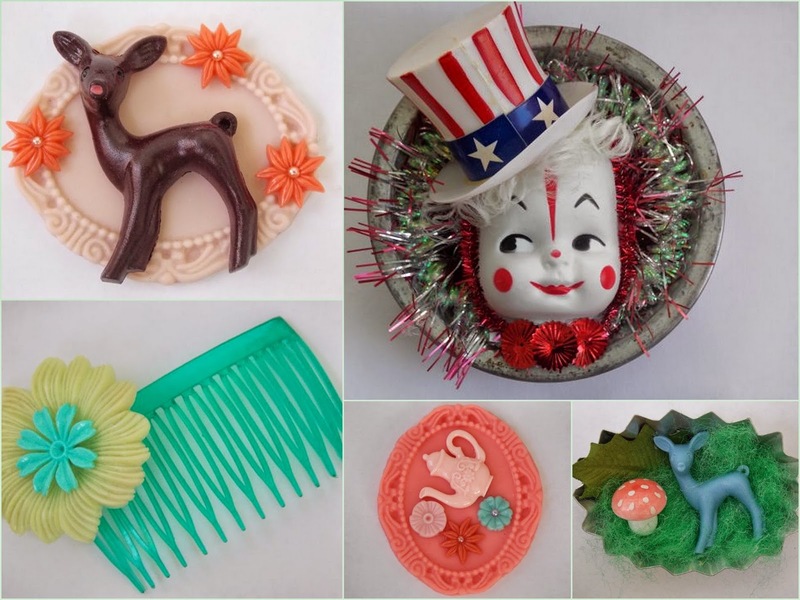 I have an ever growing collection of vintage tin molds, cake toppers, and assorted miniatures and it turns out combining those items with some fluff for Easter baskets, glitter, and fake leaves works really well! 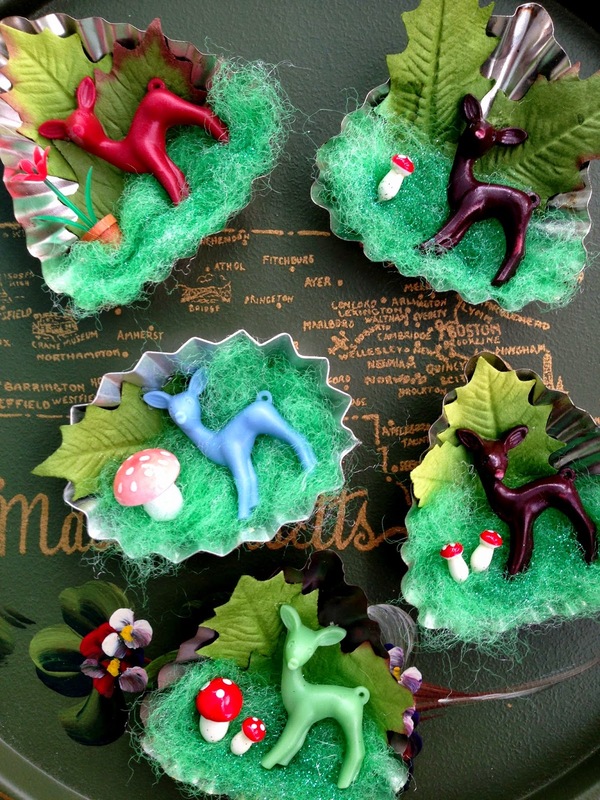 These little lovelies will be for sale in my shop and I think I will be making myself a few to keep! So the Instagram shop is still going well, but I haven't been feeling completely satisfied. Since this is just a hobby sort of thing, I want it to be fun and rewarding. I've decided to close down the shop and the end of the month, but I won't be stopping the shop business altogether! I've decided to focus on selling my handmade items online. I signed up for a Store Envy shop months ago when I was trying to figure out what I wanted to do with all the things I had been making, so I've decided to put that to use. 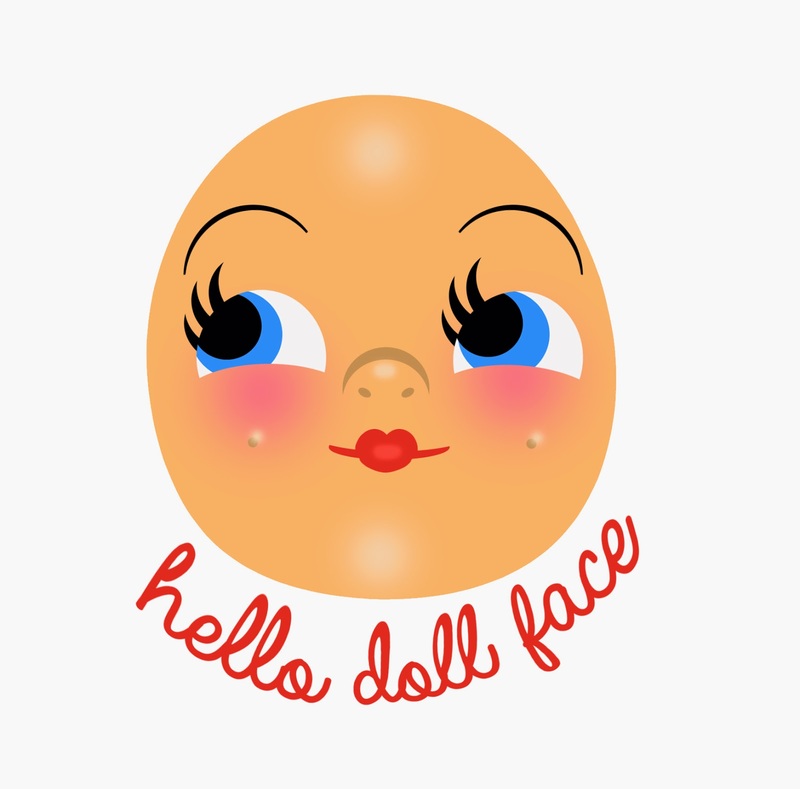 It isn't much to look at for now, but my shop, Hello Doll Face, will be stocked with jewelry, doll faces, and other fun items soon! All ready to hunt eggs! I love this outfit, because it reminds me of the pretty Easter dresses of my childhood. All that's missing is a little white straw hat! I wonder how many candy-filled plastic eggs would fit in that purse?! I have a confession to make. We did not decorate for Easter this year! It's shameful, isn't it?! Easter is my very favorite holiday, but I suppose decorating just sort of slipped our mind. I've got everyone's baskets made up, though, and I've been a bunny plaque-making machine! At least with posts like this, my blog will be festive and ready for the holiday! 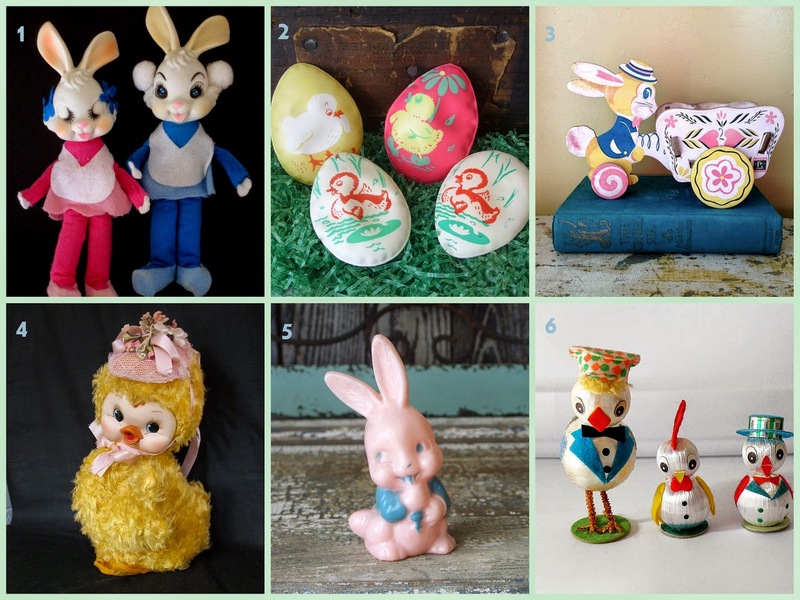 Now my vintage Easter wishlist is pretty darn long, but I tried to limit myself here. Enjoy! 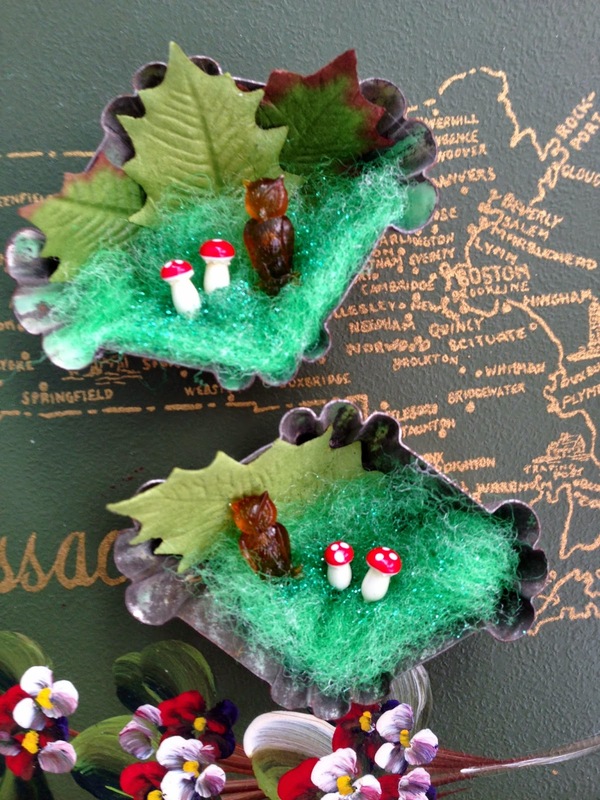 I think it's been awhile since I've done a crafternoon post. 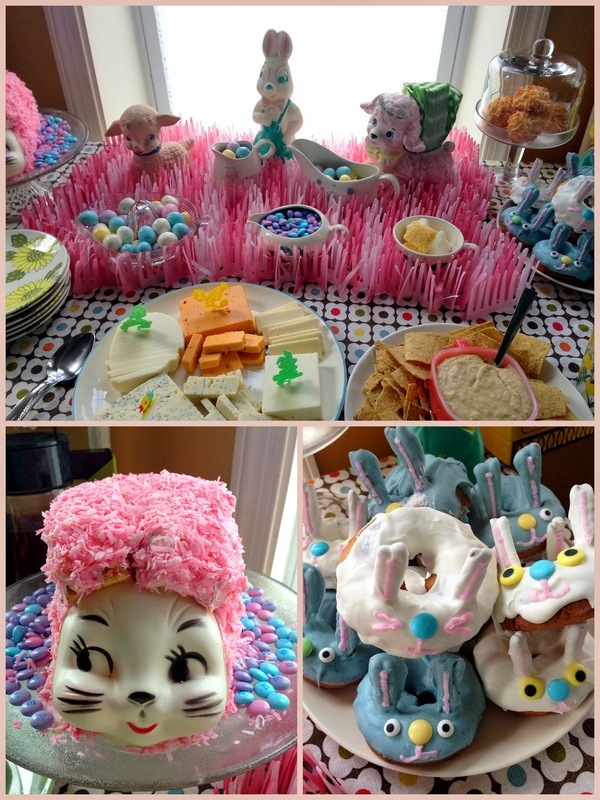 This month's was my favorite theme, Easter! 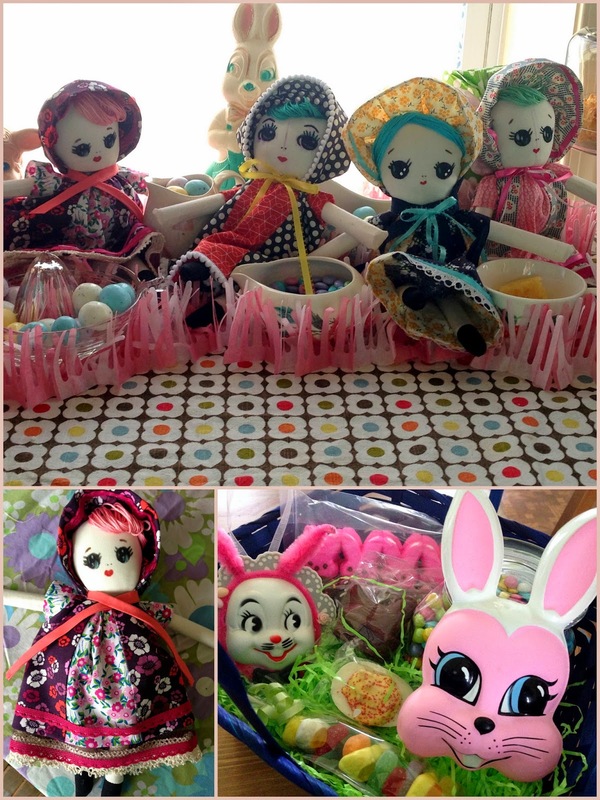 We made Bunka dolls, which you can read about here. 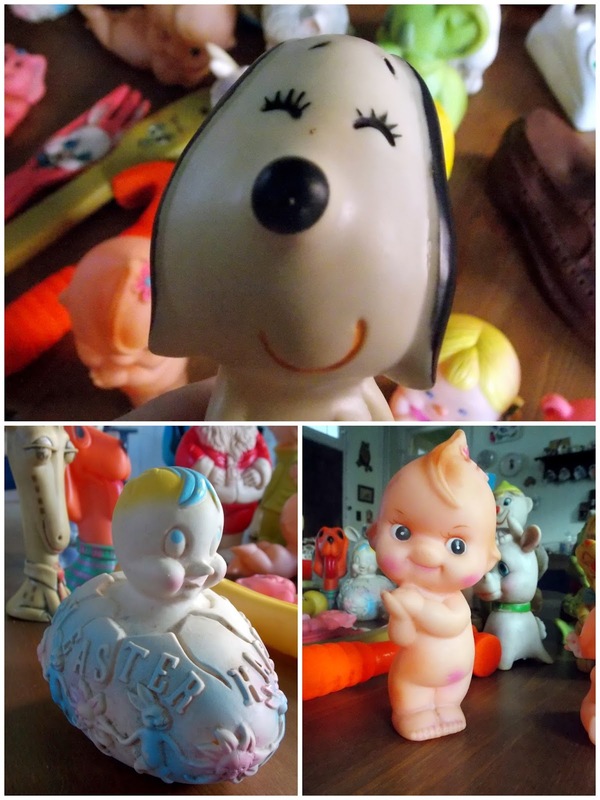 They're super cute and I've wanted one for a long time, being the crazy doll lady that I am, but I didn't really enjoy the work involved in making my own. Sorry Grandma, I really don't enjoy sewing! 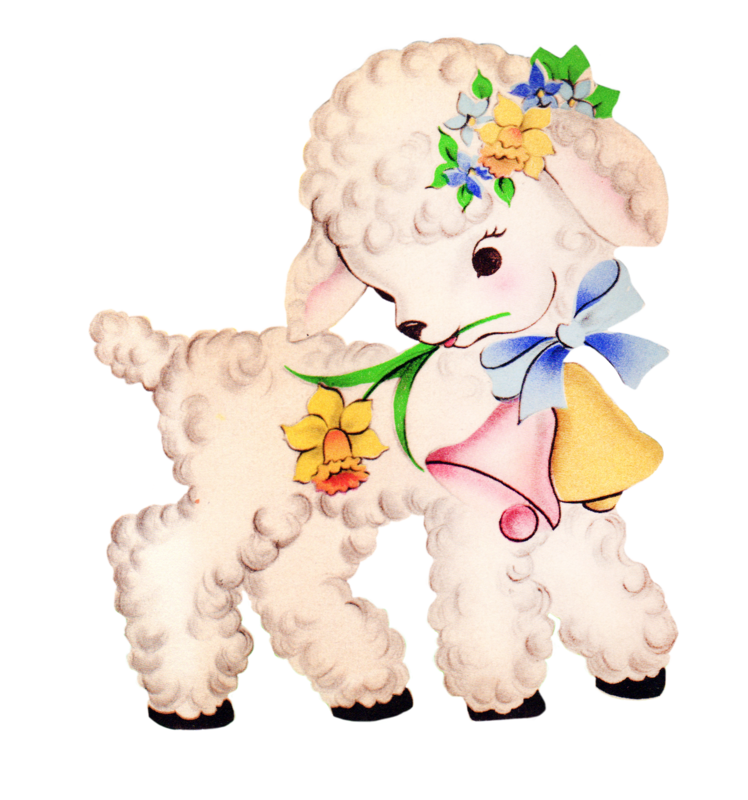 I do love my little doll, though, and maybe I'll give making them a try again one day! A beautiful song to start the week! I heard this song on Pandora last week and thought it was just lovely. I haven't heard of Darren Hanlon before hearing this, but you can bet I will be checking his music out! The video is quite sweet as well. Happy Monday! Remember the really sweet bunny faces I posted about awhile ago? I haven't been able to find any more of those lovelies, but I have found some other bunny faces, including more than a dozen larger ones. I've been holding onto them and trying to figure out how I could make them into something. While browsing the aisles of a craft store, I finally realized they'd look cute attached to wooden plaques. Here are the few I've made so far! 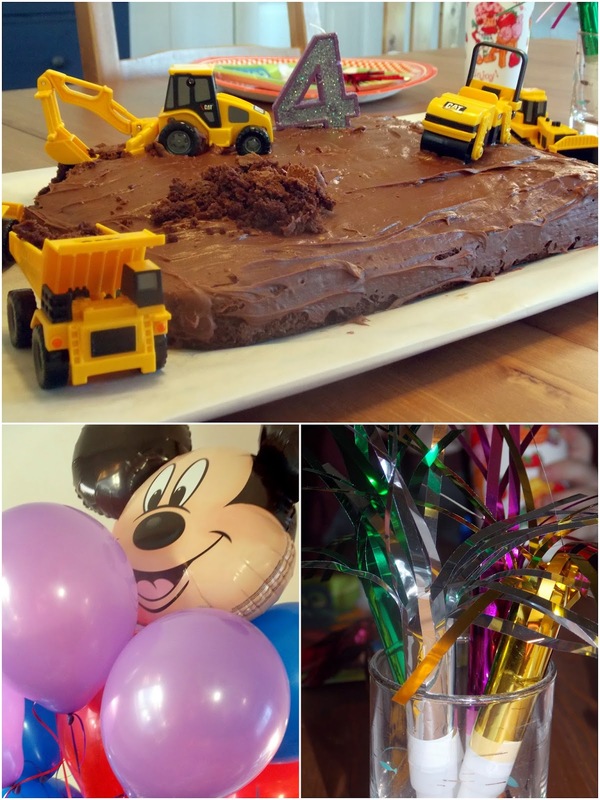 Oscar turned four at the end of last month and I'm still getting used to the fact that I have a big boy! I took the day off, so that we could have a birthday adventure. The boys and I went out to lunch, ate ice cream, visited with my dad, and played at the play area of the mall. Oscar was pretty darn pleased with all of that! After Donnie got home, we continued our celebration at home with gifts, pizza, and a cake I had made prior to setting off on our adventure. I'm pretty sure Oscar thinks four is going to be a really great age! 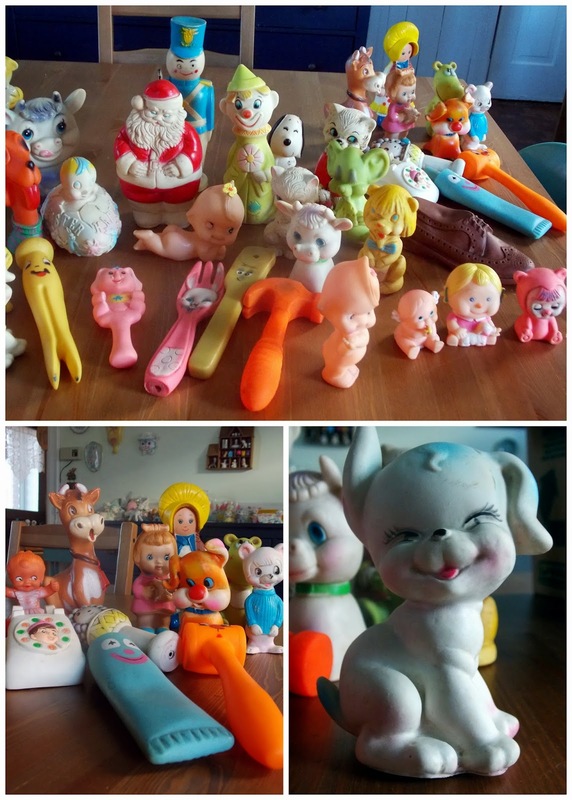 I ended up buying a lot of forty-two vintage rubber toys recently, intending on keeping some and selling the ones I didn't really love. They were all pretty dirty and black with mildew when I got them, so I spent an evening carefully cleaning and drying each one. There were a few moments when I thought about keeping them all, but this new selling spirit in me won out and, after letting Oscar pick out two to keep and setting aside two for myself, I decided to sell the rest. I took photos of them all, though, so I have those to look back on if I start to miss them! We've celebrated Oscar's birthday, slept in a caboose, and had a whole train-filled weekend. I've spent lots of time crafting away in my happy little space and made the sweetest doll at this month's crafternoon. I'll share all of that in later posts! I'm still doing the Instagram shop for now. I'm still having fun with it, but I'm trying to decide what I really want to do with it. I haven't really been doing much thrifting, so I haven't had a lot of vintage items to sell. I don't think selling the vintage items are what I really will continue to enjoy. I'd rather be selling things I've made, so I've been thinking more about having an actual online shop. I've actually had an empty Store Envy shop for months now. Can you believe we are already into April?! It's finally starting to really feel like spring here and I can't wait to start spending more time outside. I miss my evening walks! They were so so good for my clearing my mind and unwinding from the stress of the day. I don't usually do text only posts, but it feels good to type it all out sometimes! Thanks for reading. Stay tuned for more! Wow! I can't believe I've gone so long without a single update! It's not that I've been super duper busy, but I have felt a little extra tired lately. Ben doesn't really sleep and his doctor's suggestion was warm milk, which I somehow don't think will work better than any of the other countless things we've tried. He's not really too bothered by the lack of sleep and functions well on just a few hours of it. I, on the other hand, do not function well on little sleep. I have been really feeling the affects recently, as they are finally catching up with me. Sometimes I think I'm a little crazy for taking on as much as I do- full time job, two young children, a blog, an online shop, crafts, pen pals, etc! I usually do okay with keeping up with it all, though. I think I just need a weekend alone to recharge. Until I can get there, I will be listening to some good music and taking any little breaks I can sneak in! I hope everyone, including myself, has an easy relaxing week!